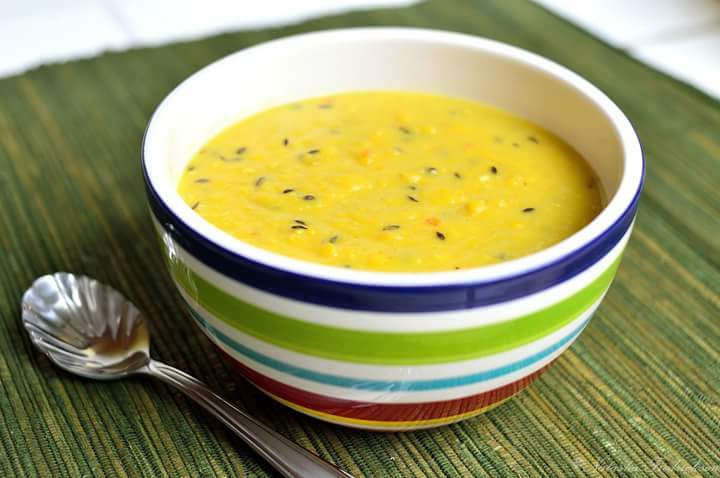 One of my favorite things to eat for breakfast, snack and dinner- dhal. It’s yellow (or green) split peas. Natasha, one of my long-time school friends, blogged the recipe here. It’s delicious, gluten-free, dairy free and very nutritious and filling- an excellent source of protein, iron, fiber, antioxidants and vitamin E; say goodbye to brain fog! Plus it’s pretty cheap and easy to make!